The University of Central Florida (UCF) Business Incubation Program recently celebrated 15 years of assisting early-stage companies with the tools and training to become financially stable, high impact enterprises. Since its inception in 1999, the Business Incubation Program has assisted more than 300 businesses in the Central Florida area, mostly in Orange County. The program currently provides resources and training to more than 145 regional small businesses. “We don’t create jobs, but we do create the ecosystem and environment that allows companies to grow and create jobs,” said Gordon Hogan, director of the UCF Business Incubation Program. Throughout the years, companies who graduated from the program have produced more than 3,000 jobs in the community and contributed $2.48 billion to Central Florida’s economy. By providing valuable resources to entrepreneurs, the program creates a positive business atmosphere encouraging growth and business development for Orange County’s economy. Orange County was the first funding partner of the Incubator Program and assisted with the development of UCF’s initial anchor facility in Research Park, which is the largest of the eight incubators. Other Incubators are located throughout Central Florida and include facilities in Orlando, Orange County, and the cities of Apopka, Daytona, Kissimmee, St. Cloud and Winter Springs. Orange County Mayor Teresa Jacobs spoke about the program as an integral part of Orange County’s economic strategy at the event. 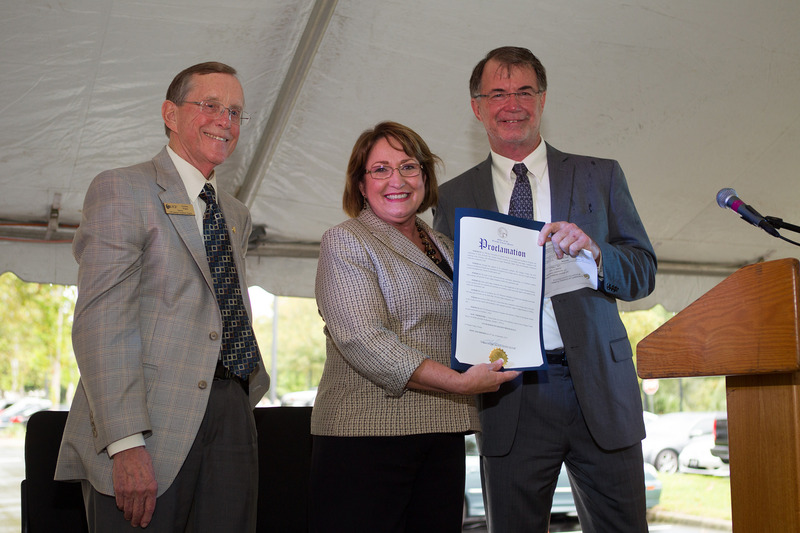 Elected officials and community leaders from Central Florida attended the event and presented proclamations mirroring Mayor Jacobs’ decree of Orange County’s UCF Business Incubation Program Day in their communities. Hoverfly Technologies, Inc. is just one of the many companies that the UCF Incubation Program has helped nurture. The company develops aerial robotic drones for commercial, industrial and personal use. Hoverfly Technologies created advanced technology that helps agriculture producers fight against the disease of their crops while improving productivity. A collection of photos from the UCF Business Incubator celebration are available on Flickr for use by the media.